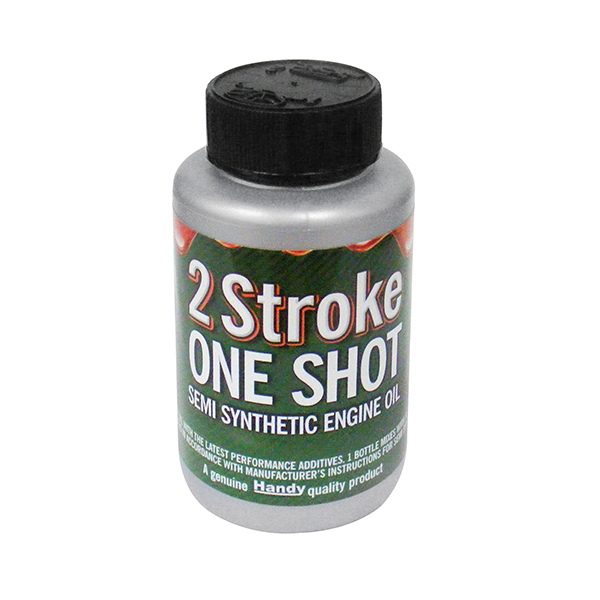 The 1 Shot 2 Stroke Engine Oil is a supreme quality, semi-synthetic blend of mineral oils and the latest high performance additives. It delivers exceptional anti-wear and film strength to help extend engine life. A single bottle mixes as much as 5 litres of fuel, with 100ml bottles mixing at a 50:1 ratio. Comes with 2 Year domestic warranty.